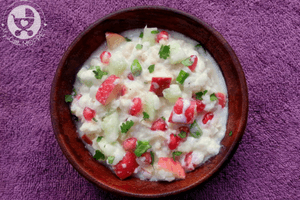 Krishna Janmashtami is nearly here, and is one of those Indian festivals that is associated with a lot of fun! 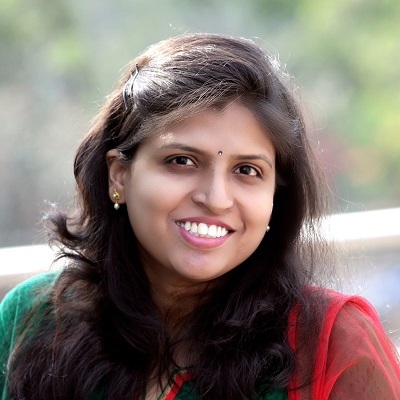 There are dahi handi competitions, lots of milk-based sweets and the most adorable sight of all – so many tiny Krishnas!! 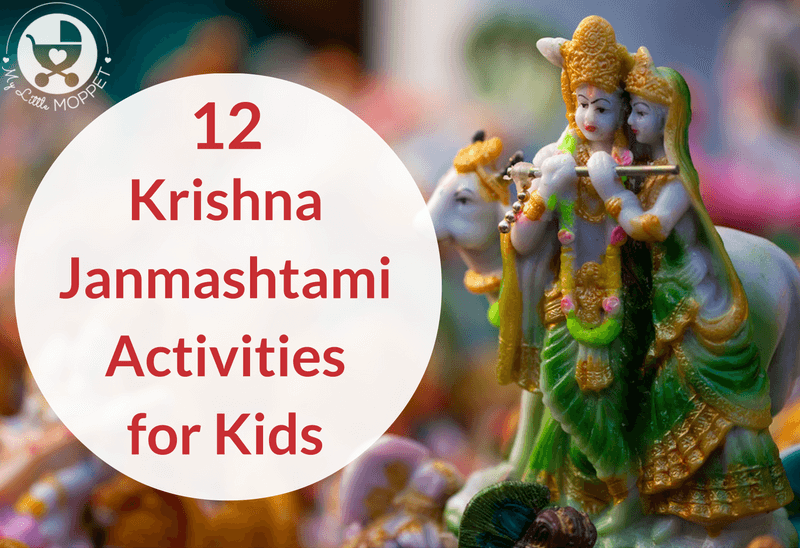 Since Krishna Janmashtami is about Krishna’s birth, the focus is on the younger version of Krishna which means this is a festival that has a lot for the tiny tots to do! 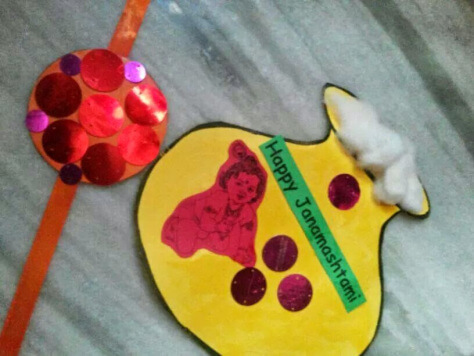 We’re going to ensure the kids are busier this year, with our list of Krishna Janmashtami Activities and Crafts! Like we said, Janmashtami is about the birth of Krishna, so many homes have miniature cradles or jhulas to celebrate the occasion. 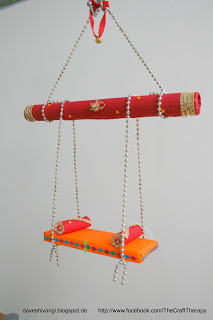 The Craft Therapy has a cute Jhula craft, made colorful with bright colored fabric. 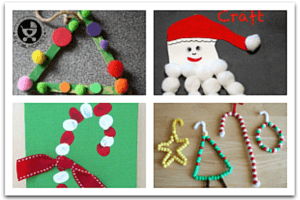 Get the older kids to make the craft while the younger ones can take turns swinging it!  Looking for a way to keep the kids occupied while you go about your preparations? Hand them some Krishna-themed coloring pages, which you can download and print for free from Family Holiday. 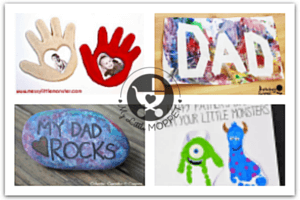 There are many to choose from, so you can be sure to keep the kids busy for a while! Kids these days are rarely seen without a device in their hands, so why not use it to their advantage? Artsy Craftsy Mom has a lovely series of mythology-based books, one of which is about Krishna. 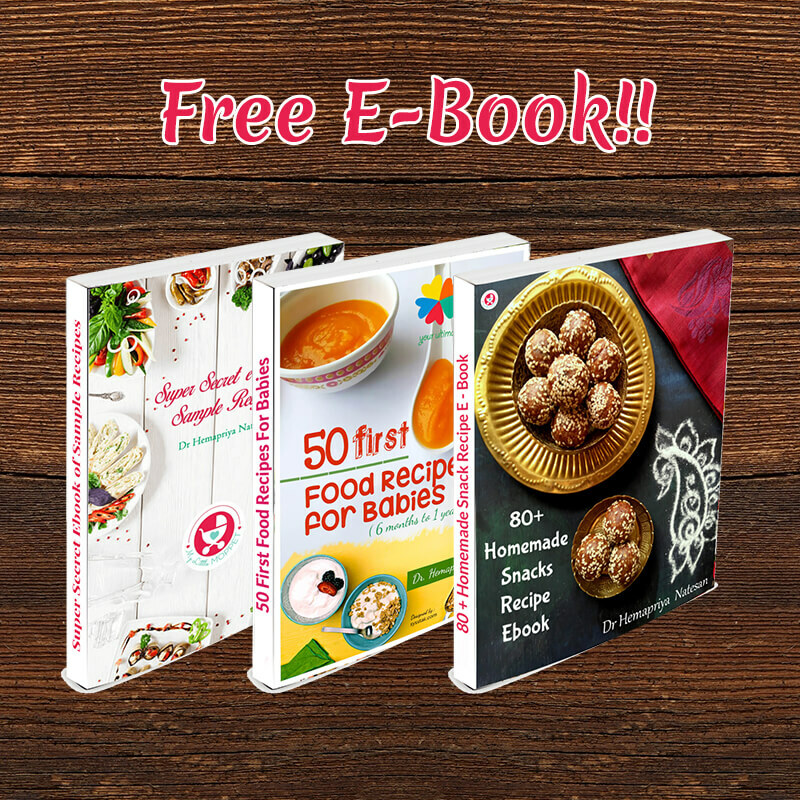 Download the book on your device and let the kids turn screen time into reading time! 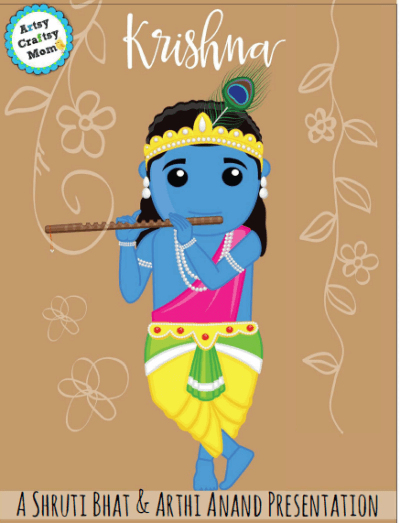 Kids in a Krishna costume always look adorable – the younger they are, the cuter they look! You can either buy a full costume for your child, but it’s quite easy to put together one by yourself. 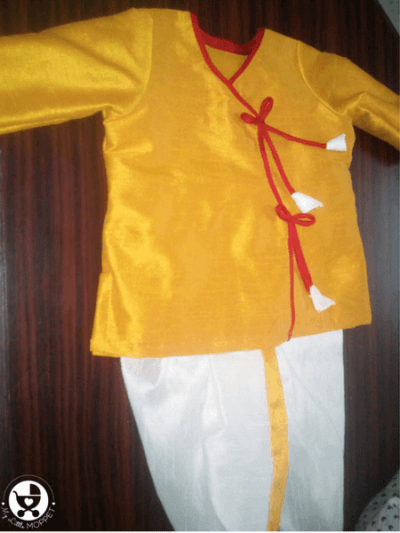 Just follow our tips to make sure that you don’t miss out on the details and that the costume is comfortable for very young children. You can’t have a Krishna costume without a crown! 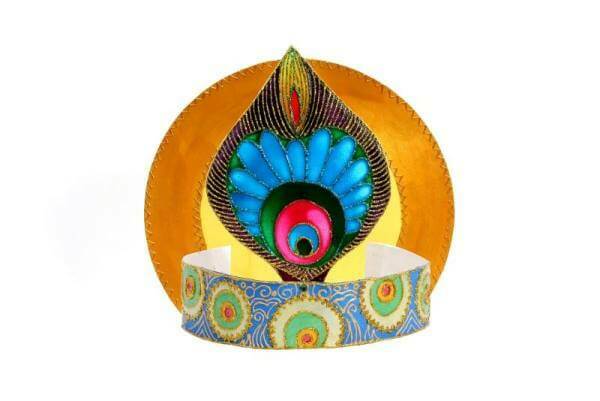 Join your little Krishna to make a cute little crown, by following the instructions at Artsy Craftsy Mom. You can also embellish it any way you like and make it as shiny as possible! 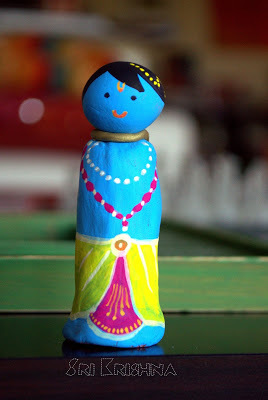 If your kids are fond of playing with playdough, let them fashion together a little Krishna doll from air drying or oven baked clay. Once it’s dried, you or the older kids can paint it and add little bits of fabrics and other shiny embellishments to make it a complete Krishna, as shown in Canavasium. If your kids know the story of Krishna, they can put their newfound knowledge to good use by recreating the scenes with dioramas. Gnaana features the images of a few dioramas made with clay models and other craft supplies. With a cardboard box as the background, you can create anything! 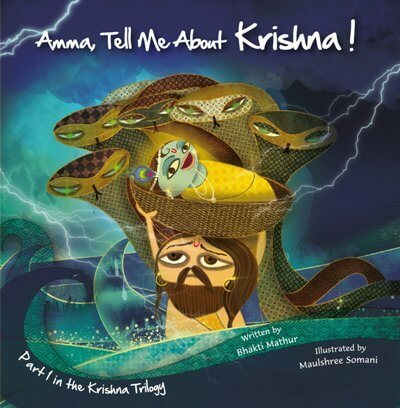 The ‘Amma, Tell me About’ series are books are very popular and their version about Krishna is just as interesting as the rest. With simple text and lovely illustrations, this book is an easy way to explain the story to young kids. 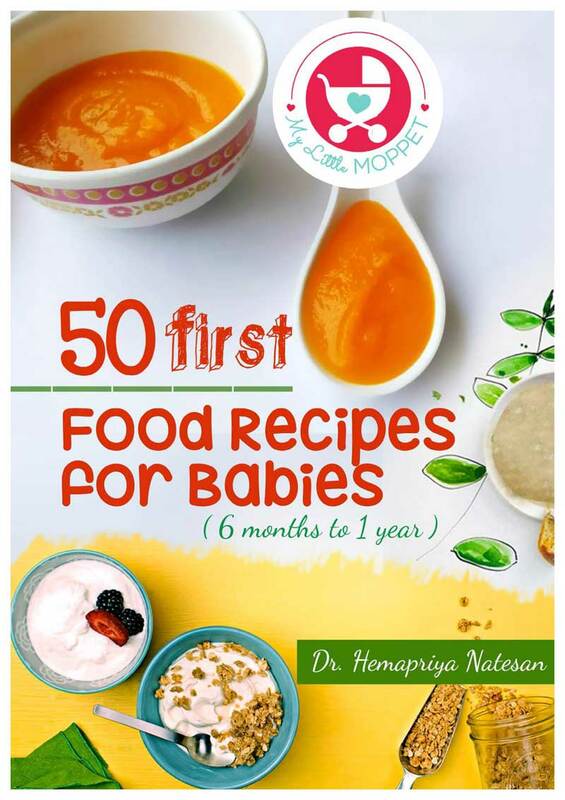 Sit together at bedtime and read it together for some Mom-child bonding! 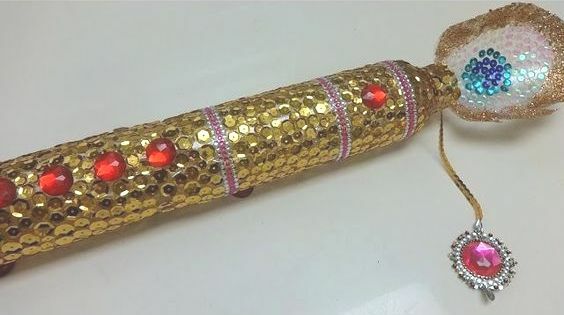 Krishna is rarely seen without his flute, and the little ones in your home can make their own too! My Crafts has a detailed video tutorial that shows you how you can make a beautifully decorated flute out of recycled plastic bottles. The steps are a little lengthy, so this is a craft for the older kids, although the younger ones can also play with it! 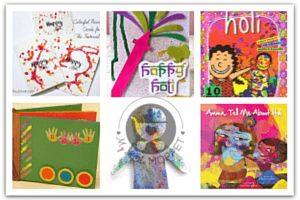 Help your kids make their grandparents a cute little Janmashtami Card, as shown in The Soiree Book. 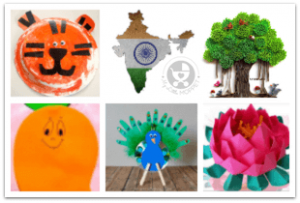 Cut out a matki-shaped piece of cardstock and let the kids decorate it with pictures of Krishna, peacock feathers or other similar themes. Your kids are too young to build a human pyramid and break the dahi handi, but they can paint their own pots, as shown in Art Platter! 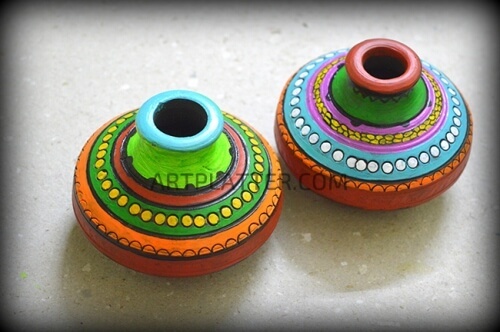 Get small earthen pots from the local market and hand your child paints. Now let them paint it any way they like – they’ll enjoy the craft and you’ll have festive home decor pieces ready! We’re sure you haven’t seen a single picture of Krishna without a peacock feather! 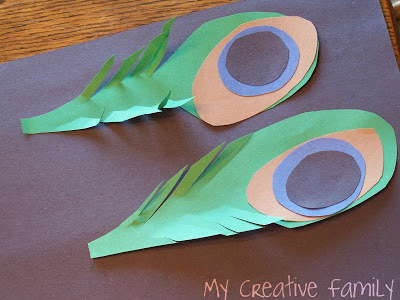 Creative Family Fun has a simple peacock feathers craft that’s really easy even for toddlers to do. Just cut out the shapes and let them stick it together. Once it’s done, you can hang it up on the wall! 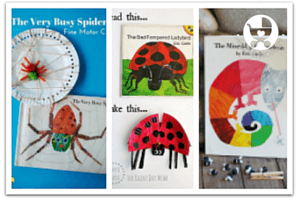 You don’t need to do all the activities here – choose the ones your child will like and give them the right materials for it. You might want to spread out some newspaper so that they don’t mess up your festive cleaning process! Relax, have fun and enjoy the festivities together!